The Dominican Republic offers unique and extremely diverse dishes that will satisfy all travellers – from French cuisine to take-away snacks. Many of the dishes on the island have been inspired by Spanish cultures, but the local culinary style has also been influenced by many other countries. 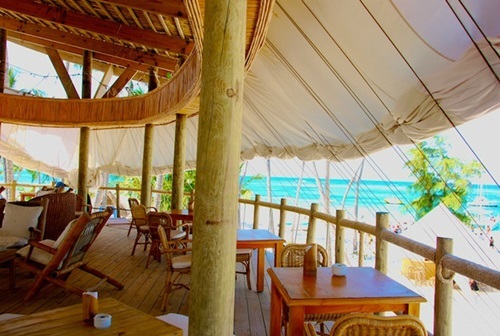 Punta Cana visitors can dine in formal restaurants that serve international foods or they can enjoy more casual setting in smaller local restaurants.. The prices can range from as little as US$2 at local places to close to US$80 and even more in fine restaurants. Depending on the type of the restaurant there is also very different dress code. The cheap places won’t care at all while the most upscale places don’t let people in in shorts, jeans or tennis shoes. Many restaurants have at least shirt and shoe policy. La Yola is located in the PUNTACANA Marina. 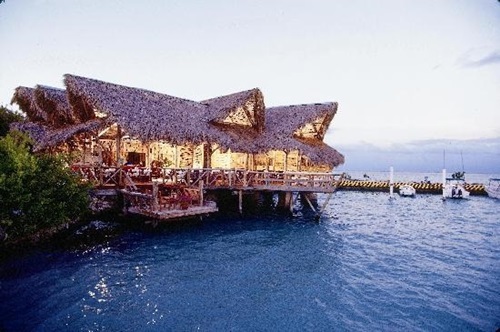 It is one of the finests restaurants on the island. It is an open air restaurant out over the water. The cuisine has Mediterranean and Caribbean influences. Most of the seafood is caught locally by the fishermen at the marina. Three course meal here will cost around US$90 per person. Jellyfish serves delicious fresh fish and shellfish dishes. Their international menu includes a choice of meat and pasta dishes. The location is stunning. Prices here range from US$20 – US$35. 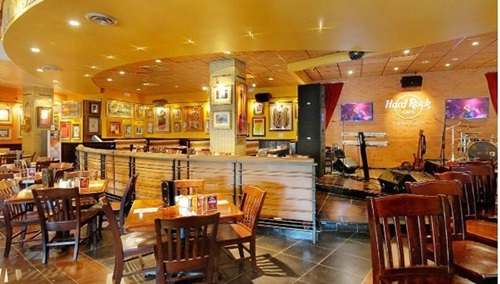 The 10,760-square-foot cafe features Hard Rock’s menu, collectible merchandise and memorabilia collection. Key pieces of memorabilia on display include items from contemporary stars, such as a shirt worn by Gwen Stefani during a performance on “Saturday Night Live,” a guitar donated by Dominican music legend Juan Luis Guerra, and a shirt worn by Latin icon Juanes during his 2006 tour, as well as items from rock legends Billy Joel and all three members of The Police.